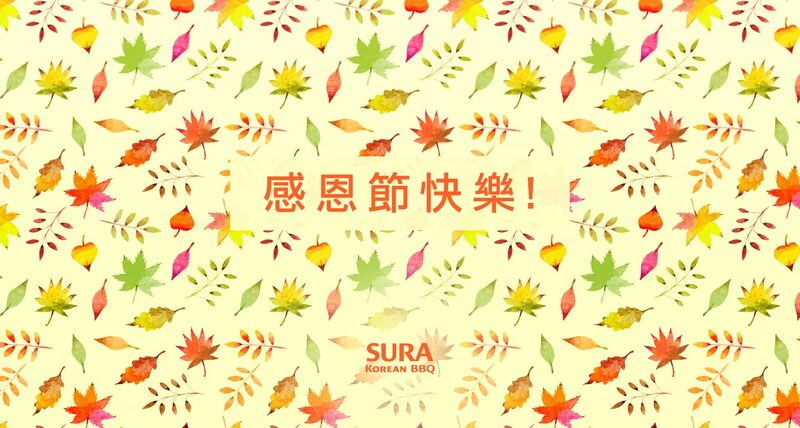 Celebrate this #ThanksGivingDay at SURA Korean BBQ restaurant Richmond with the most authentic Korean BBQ and Korean Royal cuisine for all the family! We’re open regular hours on this Thanksgiving Day, Monday, October 12! Get in the holiday spirit with your loved ones at SURA Korean BBQ Restaurant, and enjoy Korean Royal Court Cuisine & the most authentic Korean BBQ!